These mutual fund prices, or values, are calculated daily. 1. 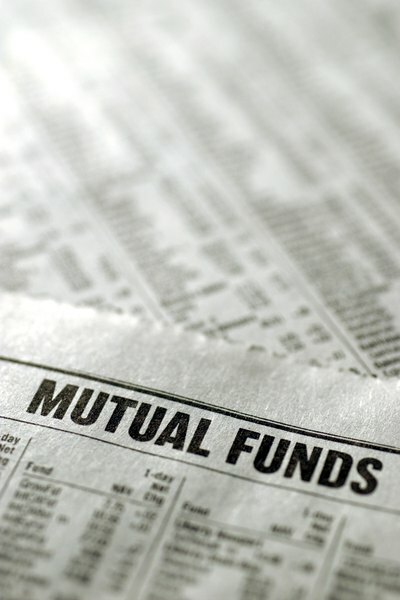 When Are Mutual Fund NAVs Updated? A mutual fund is a collection of stocks, bonds and other investments, pooled into one account, that shares the risk and smooths the fluctuations in value of the individual investments. A fund's price per share is based on the collective value of the underlying assets. This value is called the net asset value, or NAV. Funds have to be registered with the Securities and Exchange Commission, and they must report this NAV each day. Mutual find prices are updated on a daily basis. Price information must be sent to the National Association of Securities Dealers by 5 PM Eastern time each day of trading. The SEC requires each fund to calculate its net asset value and report it to the National Association of Securities Dealers by 5 p.m. Eastern time each trading day. To calculate that value, the fund determines the closing or last sale price of all securities and the worth of any other investments in its portfolio. Then it deducts any fees or expenses, and it divides that total by the number of shares in the fund. To use a simple example that doesn't factor in expenses, imagine a mutual fund that owns 100 shares of IBM at $150 per share, 100 shares of Netflix at $300 per share and 100 shares of Apple at $180 per share. Let's say there are 10,000 mutual fund shares issued to investors. The assets in the fund are $15,000 IBM, $30,000 Netflix and $18,000 Apple, for a total value of $63,000. Divided by the 10,000 outstanding shares, the NAV of the fund would be $6.30 per share. NAV calculations usually begin after the stock exchanges close, which normally is 4 p.m. Eastern time. Price updates are reported as soon as those calculations are complete. The NASD assimilates the NAV of each registered fund and compiles the results into a basic list that it distributes to news services and other security reporting agencies. That NAV is what a buyer will pay for a share in the fund the next day, or what a seller who redeems a share will receive. The actual cost for investors can often be higher, due to commissions or other brokerage fees. For example, the NAV of your fund may be $10 per share, but if the fund company charges a 5 percent sales charge, new investors would pay $10.50 per share. The NASD collects and distributes mutual fund information through its Mutual Fund Quotations Service. NASDAQ, the automated service created by the association to handle trading in stocks not listed on a formal exchange, charges funds fees for these services. Participation in the NASDAQ service is voluntary, but virtually all funds take part to get their share prices reported publicly. A public offering price is the NAV plus any commissions or sales fees charged by the fund when investors buy a share. That also changes daily, as the NAV fluctuates. Most funds listed in newspaper and other compilations are "open end," allowing any number of investors to buy shares. The number of shares in a fund doesn't affect its NAV, as money flows into or out of the fund when shares are bought or redeemed. Some funds are "closed end," with a fixed number of shares allowed. Closed-end funds can be traded on a public exchange, just like stocks, in which case the updated price will be the value when exchange trading ends for the day. That price might be above or below the NAV. Closed-end funds are not required to report their NAVs to the National Association of Securities Dealers. What Is NAV in the Stock Market?